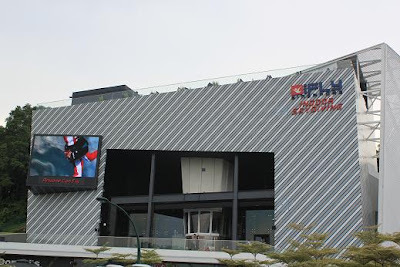 The drizzles led us to iFly Singapore building at Sentosa last Sunday on our way to the Port of Lost Wonder. 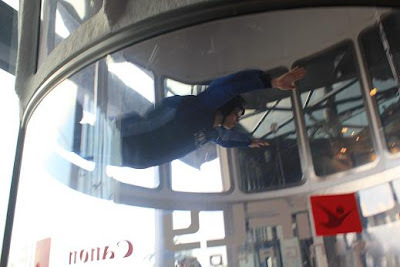 Since we haven't checked out the place since its opening, we took the chance to see how the flyers look like when they go for the indoor skydiving while waiting for the drizzles to stop. Fly, fly like a butterfly! The moment Kyla saw some children around her age flying, she said she wanted to try it. Interested to join the Kids' Skydiving Club? She might have to wait until the 18th of April to join the kids' skydiving club. That is if the price is right. LOL! Enjoy the video and decide for yourself if you want to fly too. 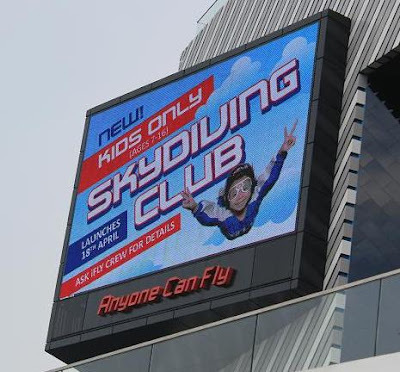 Visit iFly Singapore website for complete details. Ah, the young ones are definitely braver than I am!! Hope your week is going well, Cher! We have one of this close to where we live and been contemplating on trying indoor skydiving just for the fun of it. Ours take adults and kids -- I will check it again ! Everything starts with an i is very fun recently. haha, that looks so cool and fun!